This melting marshmallow snowman recipe has been sponsored by Starbucks. All thoughts and opinions are my own. Tis the season of chilly nights and cocoa fun. I can't say I'm sad about it, especially when we have these adorable marshmallow snowmen to fill our coffee mugs, because who says the kids and their cocoa get to have all the fun?! 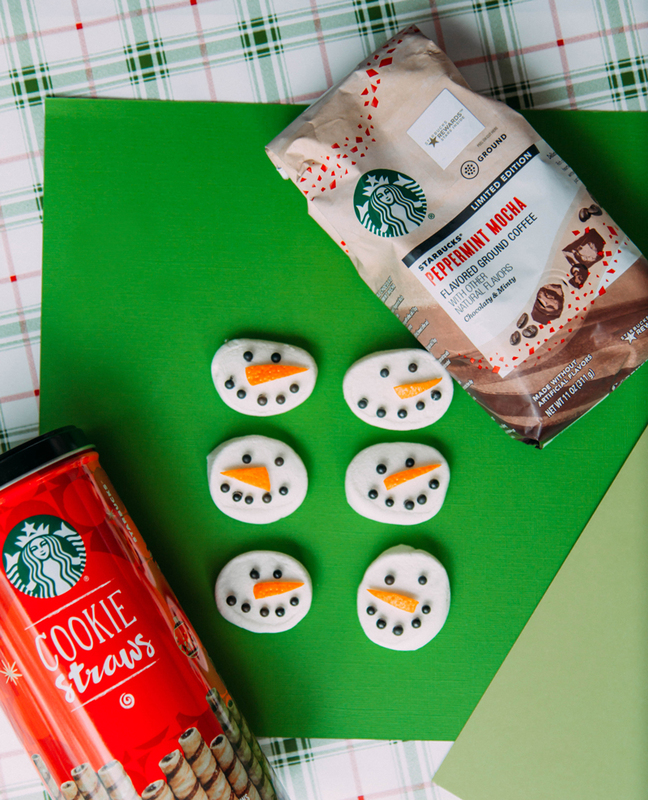 These fun marshmallow snowmen and Starbucks® Holiday Cookie Straws are an easy and fun way to liven up your after-dinner coffee routine... especially when they're added to Starbucks® Peppermint Mocha Flavored Coffee. The combination screams festive, fun, holiday season in all the right ways. 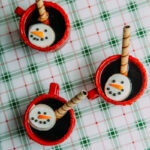 These snowmen would make for a fun entertaining idea, too! These holiday flavors are available for a limited time only, so go buy yours now while they're still in stock! 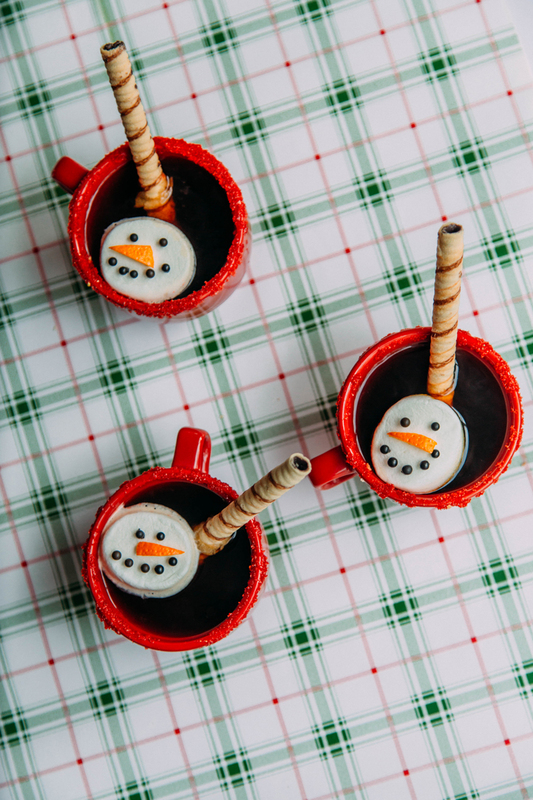 These snowmen made from marshmallows have traditionally been geared towards the kids, but I think adding a little marshmallow and cookie straw fun to our adult coffee mugs is exactly the type of treat to turn a ho-hum weekday into something sweet to look forward to. Easy marshmallow snowman - so easy you can make them at work! 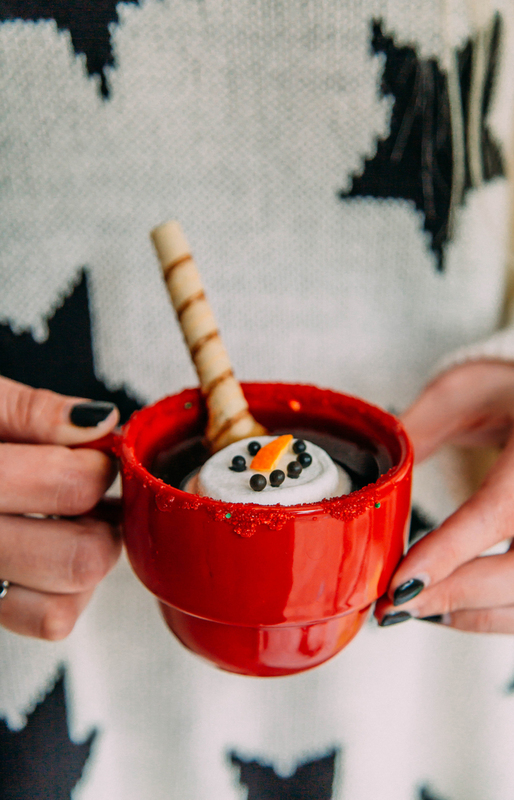 Whether you make an entire batch of these snowmen for the office to bring in with your Starbucks Peppermint Mocha Coffee and Starbucks Holiday Cookie Straws or craft them up for a shared family experience, the result will be huge smiles and warm cups in everyone's hands. I think bringing in holiday items like this to the office can be such a fun way to set the mood, even during what is easily the busiest season of the year. And better yet? I can grab all the items I need in one quick stop at my local Kroger (which is a Smith's store for me!). 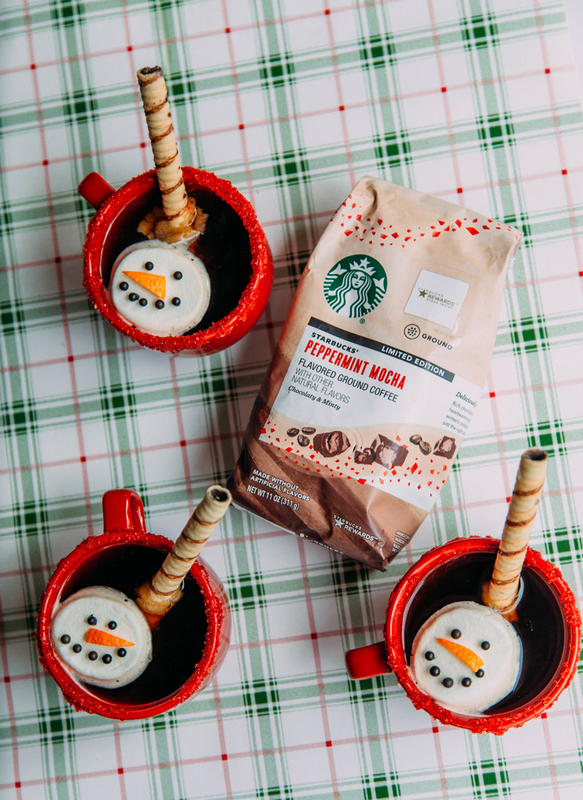 To make the marshmallow snowmen and this fun coffee set up, you will need marshmallows, black sprinkles, an orange, Starbucks Holiday Cookie Straws and Starbucks Peppermint Mocha Coffee. 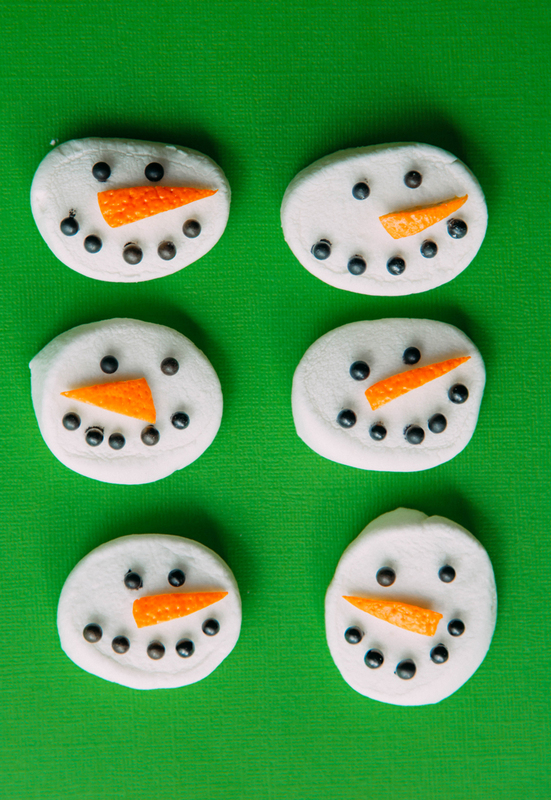 Follow the easy recipe below to create an entire army of marshmallow snowmen in no time. Prep them ahead of time so they're ready to be added to your cup of java! There are a number of ways to create these marshmallow snowmen, some of the recipes online are really intense! We decided to make ours out of sprinkles and orange peels because it is a super easy process. 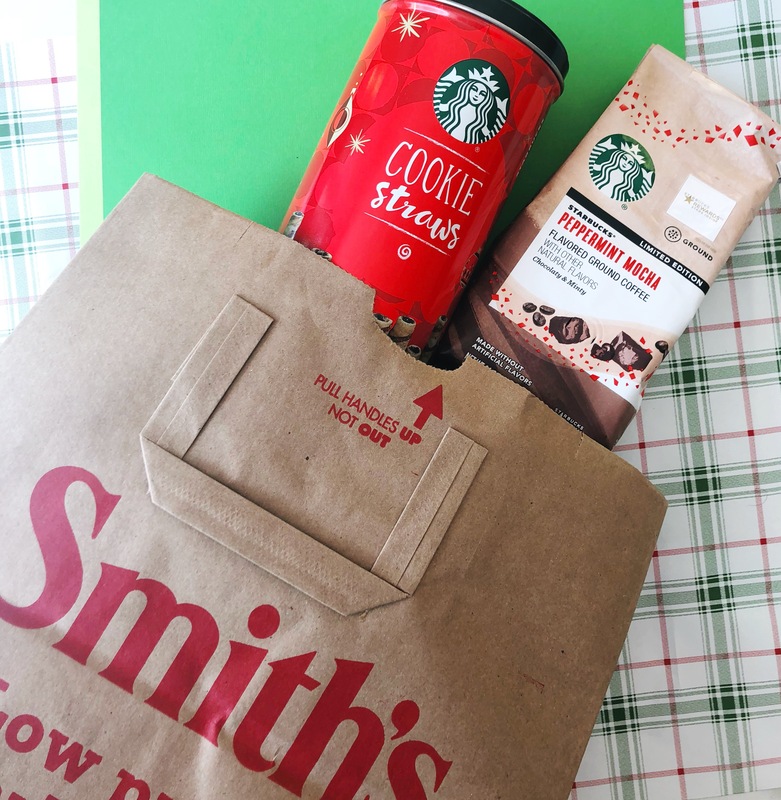 I also love that all of the pieces that go into the recipe only enhance the taste of our Starbucks Peppermint Mocha Coffee, making this treat such a fun way to welcome in our favorite season of the year. For larger coffee mugs, you can definitely put your marshmallow snowman on a stick. Although, I'm pretty partial to allowing them to float next to the cookie straws as I sip my favorite holiday drink. Try these for yourself to bring extra cheer to your holiday season! 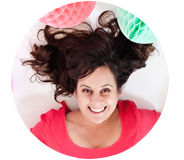 Share with friends, family and coworkers to put a smile on everyone's face. Enjoy! Start by cutting the large marshmallow in half to create two smaller (flat) marshmallows. Next use the black sprinkles to make the eyes and the mouth of each snowman. Gently dip the sprinkle into the black icing and then place on the marshmallow. The icing acts as glue to hold it into place. Next cut a nose shape out of the orange skin and place on each snowman, also using the icing as glue. 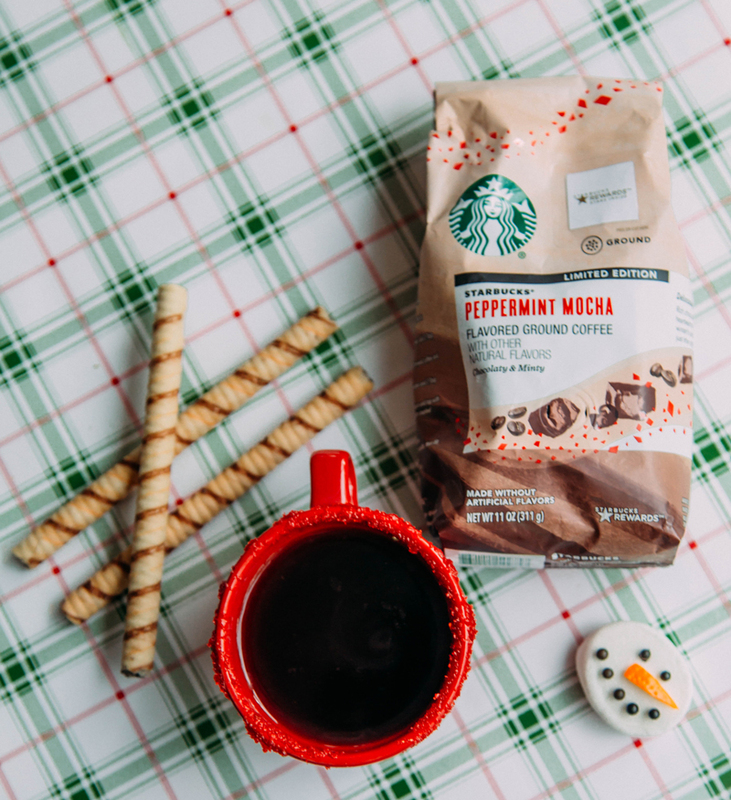 Place 1 marshmallow snowman & 1 cookie straw into each cup of coffee for a fun twist this holiday season.